Browsing "Freemasonry Around the World"
Before it was the Grand Lodge of England, the Grand Lodge of London and Westminster was founded on this date in 1717. Four London lodges met at the Goose and Gridiron Ale-house in St. Paul’s Church-yard for a joint dinner. 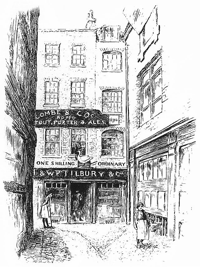 These first Lodges were made up of three operative Lodges (the Goose and Gridiron, the Crown, and Covenant Garden) and a single speculative Lodge (Rummer and Grapes). At the time, Lodges were generally named after the locations they met at, and most Lodges met in ale houses. Hence the colorful names. The newly formed Lodge became known as the Grand Lodge of London and Westminster, led by Grand Master Anthony Sayer. For 175 years Freemasonry has flourished in New Glasgow, and in recognition of this long period of history, Albion Lodge No. 5 on the Register of the Grand Lodge of Nova Scotia will be observing this landmark event with a formal dinner and ceremony on Saturday at SSI. The Grand Master of Masons in Nova Scotia, MWBro. George A. Grant will be in attendance as well as may other Grand Lodge Officers, Distinguished guests, along with other Brothers of the Masonic Fraternity from Pictou County and beyond. This night will also mark the time of the year when we as Masons recognize the efforts of our Ladies in supporting us in our Masonic Labours. With most marriages it is a team effort, and Freemasonry does take the man out of the house some evenings, so this is our way to say thank you to the women in our lives, that although they may not take the masonic journey with us, their support, encouragement and understanding is appreciated. 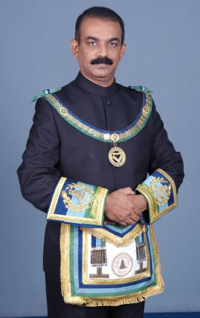 Under the Regional Grand Master of Southern India for Freemasons, R.Sushil Raj, the organisation is going to hold its first ever public event. Freemasons has been a society shrouded in mystery. For long, there had been many speculations of its history, members and their practices. But some of the world’s well-known personalities have also been freemasons. An interesting revelation is that Swami Vivekananda was also a Freemason. He is said to have joined Masonry during his early life, as a youth. Though the fact is not a new discovery, it has not been much talked about either. However, an interesting event two months from now is going to celebrate for the first time the Swami’s connection with Freemasonry. Cuban Freemasonry is unique in the world for operating openly in a communist nation. What can explain that, given that in most other communist nations Freemasonry has been condemned? For that answer, it is necessary to look at the role that Freemasonry played in the original Cuban Revolution or as some people speculate. the affiliation of the Castro brothers themselves? Cuba is the only country under the administration of a Marxist government that tolerates throughout its territory an important secret society with an esoteric background: Freemasonry. Today, in the beautiful and economically challenged island of Martí and Maceo, no less than 318 Masonic lodges flourish, openly attended by about 30,000 registered members. Such numbers are high for a country with so small a population as that of Cuba. Various Afro-Cuban religions, Palo Congo, Yoruban Ocha, Abakua, and Haitian Vodú among the population of Haitian descent mostly in Eastern Cuba, religions often mistakenly dubbed “santería” – the Cuban first cousins of Brazilian Candomblé and Umbanda also exist in Cuba, the only other power system capable of competing with esoteric Freemasonry in terms of being reasonably free and unrestricted. Question: How should I wear my masonic ring: facing up or down? Masonic Years – A.D., the other A.D., A.I., A.L., A.M., and A.O. Masonic Q&A: Why does the music industry use Masonic symbols?